This is the season when the proximity of catch cough cold or fever increases. Even I had caught cold, a few days ago, this is common specially when you are sitting in a closed room where the air is not circulating much, like a closed office with an A.C. the chances of catching a viral disease increases. Here are some simple tips which will help you to boost your immune system, some preventive measures and good diet foods, the top 10 immune boosters. 1) Garlic:- On top of the list is Garlic intake of which helps in reducing microbes and increases immune system, it can be taken with a soup to which it adds flavour. Also Garlic helps in removing bad fat from the body, which is the saturated and Transfat, it is good for patients with heart diseases, by reducing cholesterol level. It helps to increase the natural immune system of the body, and reduces build up of free radicals. 2) Intake of Alkaline Liquid:- Drinking liquid is always beneficial no matter what disease you wish to fight. The reason why doctors recommend drinking more water and alkaline liquids is that it helps to increase the immunity and the mobility of blood, most of the bacteria and infectious agents thrive on acidic environment, the more your body becomes alkaline the more it is a threat to bacterias and other germs. Drink good amount of liquid, eat more fresh vegetables to allow your diet to be alkaline. 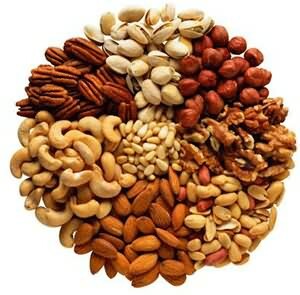 3)Dry Fruits Nuts :- Dry fruits are good for healthy, not only they contain good amount of anti oxidants but also are good for the health of heart. Doctors recommend ground nuts, cashew nuts, almonds and walnuts for weight loss diets, nuts are filled with omega 3 fatty acids, zinc, vitamin E and other vital nutrients. They help in increasing your immune system and help fight bad fats. 4)Vegetables:- Yes we hate most of them, they are green monsters we all are scared off when we are young, but do you know, that nearly all vegetables are good for health. They have all the minerals and nutrients which help in preventing diseases and booting your immune system. The green vegetables are specially beneficial in boosing antioxidants in your body. Try eating broccoli, spinach, parsley, turnip juce, bell pepper, they taste good and will never increase your body fat. Eating fast food like, burger, french fries, which are high on oil and cream are bad for health, they increase the body fat and provide no essential benefit to the body. 5) Water:- The essence of life, it is said that more than 60% of our body weight is water or liquid. Drinking water helps cleanse your body, your digestive system and increase the blood flow. Reducing the risk of heart and kidney diseases. As this is a neutral drink it maintains osmotic balances, prevents bacteria removing them through your kidney and urine. People with kidney and urinary tract infections are cured by taking good amount of water. 6) Shower:- It is now the time to take a bath. Remember when we were young and it was a winter season, how we used to fool our parents by not taking a shower, just throwing water here and there and wetting some parts of our body just to make them feel we had taken a shower. Now let me tell you the advantages of shower. Taking shower removes the germs and baterial infections which we catch by coming in contact with infected people. You must have seen crazy people jumping in cold water in Russia druing winters. They are not mad this helps in increasing your immune system. A hot shower might not be that healthy for your body, this does not mean that you should pour cold water on your body even if you have a cold or your body is burning with high fever. Hot showers does feel good but they are not healthy, they dull blood circulation and makes you feel drowsy. Where as a cold water shower makes the blood rush to the surface of the skin, hence making you feel energized and fresh. Apart from this the cold shower helps in simulating the lymphatic system, which is a part of circulatory system which helps in transporting immune cells across our body, to help us boos our immunity. 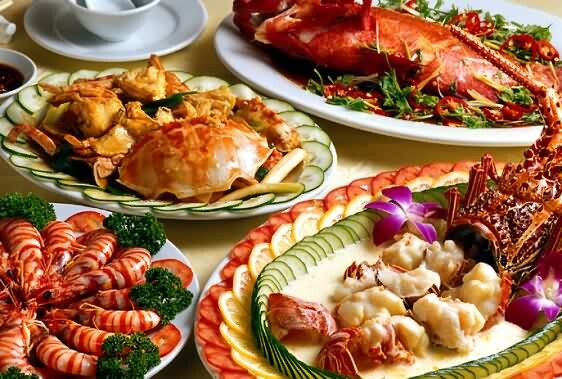 7) Go Fishy:- For those who have access to sea food, salmon, and other fishes are good for protien. The oil in fishes helps in functioning of brain. The Omega 3 fatty acids and protiends in fish help in curing and repairing destroyed cells, they also enhance the immune system. As Omega 3 is a immune modulator which helps the body in over reacting to infection and helps to keep the immunity level. 8) Berries:- Berries are good for your skin, health and prevents aging process. Berries contain phytochemicals and bioflavanoids which have antioxidants and prevent cancer and repair injured cells. Berries apart from having beneficial minerals also contains vitamins including Vitamin C. These berries are effective in fighting against infection, they increase the production of White Blood cells, and antibodies. Presence of vitamin C in most of the berries helps in reducing the risk of various types of cancers including prostate cancer, and colon cancer. 9) Things to Avoid:- Humans are their own enemies, is a right saying. We willingly or unwillingly eat or drink food which is harmful for us. Despite the fact we know smoking is injurious for health we are addicted to it. Drinking excessive alcohol, and hard drinks harms our liver, lungs and heart. Still as a way of high status we prefer not to leave it. Only after catching some uncurable disease our eyes are opened. Avoid canned foods, try herbal tea and corn flakes early morning. A glass of milk is the best starter for the day. Quit smoking and drinking. Have fresh fruit juice, if you feel an urge to eat anything bad just carry some nuts along with you to keep eating it from time to time. Packaged chips like lays, are also bad for health. 10) Meditation & exercises:- Apart from this doing exercises, walking early morning, yoga and meditation will allow your blood circulation to improve. Muscles are in regular motion and bones become strong.Yoga is good for people who have high blood pressure or are suffering from Diabetes. Breathing exercises helps heart and asthma patients. This also improves the immune system of the body and helps you fight against disease. Apart from the exercises and diets try eating 4-6 times a day but in small amounts, rather than 2-3 large meals. 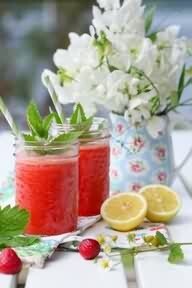 Drink lots of water and try some healthy fresh fruits, you will have plenty of options no matter what season it is. All these things help in improving ones life span and boosting human immune system. Stay away from stress as much as possible, watch comedy shows, rather than sad Tv shows. Play outdoor games with your friends, rather than sitting on computers for long hours. Stay healthy live long.